Often considered the most energetic and forward-thinking arm of the workforce, millennials are an asset to any company that values innovation. High in demand and selective about where they work, to attract and retain millennials, companies need to demonstrate a commitment to the things that appeal to the group. From conscious environmentalism to space for collaboration, these are the criteria to consider when designing your workplace with millennials in mind. Strong workplace culture is at the top of a millennial’s wish list when considering employment options. For design purposes, this may include incorporating recreational features like espresso bars or yoga rooms to foster the sense of community that they are looking for. Designating spaces where employees can interact over something other than work will allow them to refocus, drive collaboration, and create a valuable human experience unique to your workplace. Open plan workspaces are quickly becoming the norm, and much of this can be attributed to the millennial desire for collaboration. Cramped and dingy office cubicles act as creative barriers to the sharing of ideas, so why not lose the walls in favour of an open floor plan with agile furniture, and let your office become a free-flowing eco-system of ideation. That’s not to say you can’t still provide designated areas for deep focus – recent developments in mobile-wall technology are worth looking into to maintain flexibility. The millennial valuing of openness also manifests in the movement to flatten office hierarchy. Lower level employees now sit side-by-side with senior executives, as an open and accessible office plan translates to more engaged and egalitarian work culture. 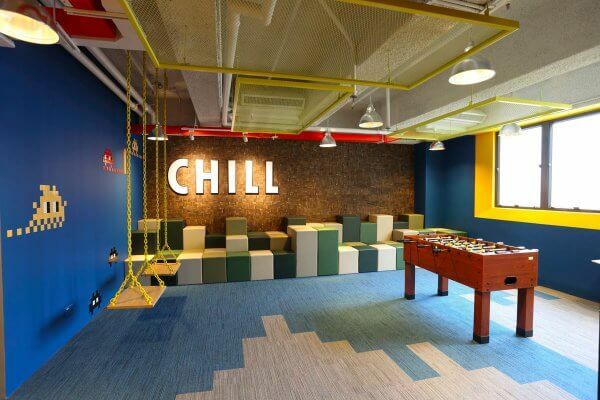 The rising popularity of co-working spaces is an offshoot of the trend towards openness. In addition to the standard hot-desks, adaptable furniture, and laidback interiors, breakout spaces can be enhanced by a social wall or vision board. 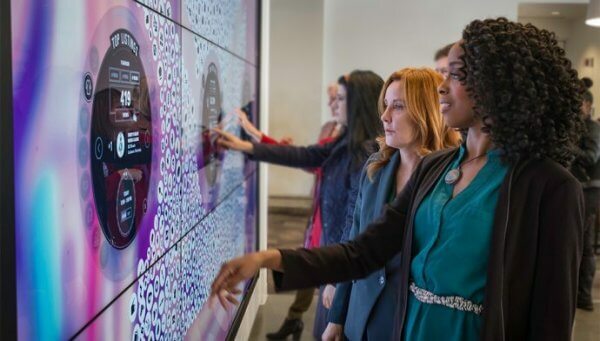 Designating a communal wall space where employees can jot down their eureka moments encourages the ideation and collaborative culture that millennials are attracted to. As always, prioritising flexibility will also allow you to use the feature as a visualiser for company goals to drive performance. Millennials don’t see cutting edge technology as a bonus – it is a must-have if they are to consider your company a desirable place to work. There are many tech-fueled options available for offices the world over. 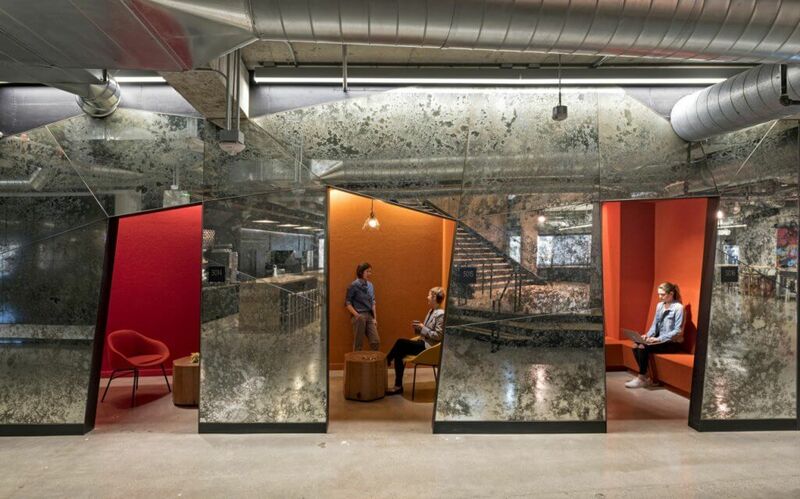 Perhaps most importantly, your office design must reflect a work culture that millennials can get behind. Millennials are increasingly conscious of working for companies that share their values – integrating biophilic design and sustainable features like green-walls, solar panels, and water-saving tap fixtures communicate a commitment to the environment that will resonate with them. Millennials are attracted to workplaces with eco-friendly lighting, recycling initiatives, and wellness programs – features indicative of an employer who cares about staff and the world around them. The key to enticing millennials to join your company is making them, and their creativity, feel valued. Look to the future by incorporating cutting edge technology and flexible work options (like optional start and finish times, with the capacity to work away from the office). They will reward with you with innovative ideas and solutions. The design of your office goes a long way towards nurturing a sense of community, and demonstrating a commitment to your employees and their evolving work-styles is sure to endear you to future generations.